Commonly sold as lucky bamboo but more appropriately named friendship bamboo, giving a gift of this plant is said to bring the receiver good luck. 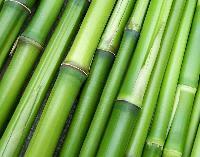 Putting a friendship bamboo plant on the east part of a room will improve your chi (energy), according to Feng Shui. Triangles are centrally featured throughout history due to their strength as a structure and their three sides representing the life cycle: birth, maturity, and death. Triangles are often attributed to Egyptian pyramids and the symbol on the back of U.S. dollar. 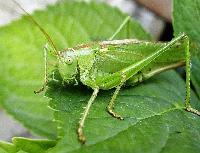 Crickets are a sign of good luck especially in Asian and Native American cultures. It is terrible luck to kill a cricket, even if accidentally. They are seen by some Asian cultures to act as a protector of the house, stopping their chirping whenever danger is near. Kachinas are dolls which represent the spirits of things in the real world to Native Americans in the American Southwest and Central America. The dolls are dressed up and often played with by children. Inviting the doll s spirit into one s home and family is said to bring a good harvest. Native American culture prominently features dream catchers to gather good dreams and do away with bad dreams. The reason comes from the story of Nokomis, the grandmother in Ojibwa folklore. Nokomis watched a spider weave its web day after day until one day her grandson came in and tried to kill the spider. She protected the spider and, in return, the spider went to the window and spun a fresh web in the moonlight. It told Nokomis: See how I spin. See and learn, for each web will snare bad dreams. 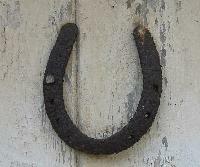 Only good dreams will go through the small hole. Featuring prominently in Middle Eastern cultures, an Evil Eye amulet wards off the Evil Eye: a curse received from the malicious glance of another, often unbenounced to the one being glared at. The amulet protects the wearer from this evil glance and is one of the most popular tourist buys across the Middle East. 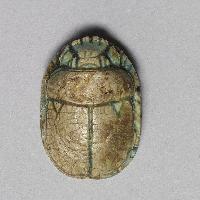 Scarab beetle amulets were especially common in ancient Egypt. They represented the rising sun, warded off evil, and were associated with rebirth and transformation.